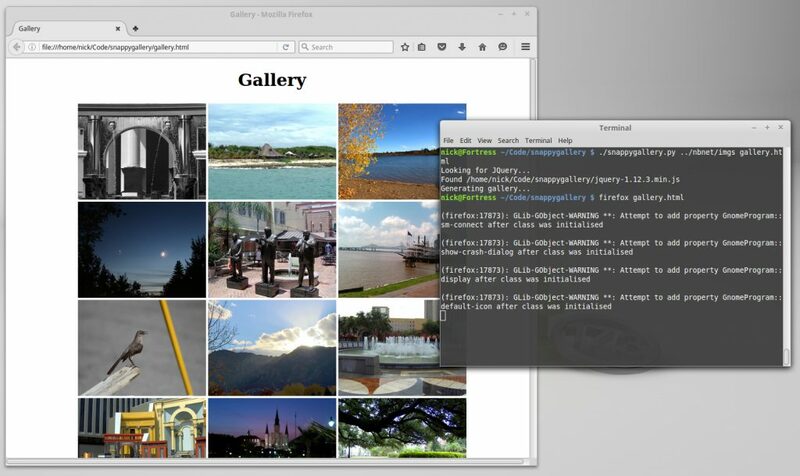 snappygallery is a python script for quickly generating simple HTML galleries. It uses jQuery to provide gallery functionality and animations, and will optionally download it if it is not already found in the directory where the gallery file is to be generated. snappygallery currently does not generate thumbnail images or handle galleries spanning multiple pages, although I intend to add these features in the near future.